There's a saying that we often eat with our eyes and not our stomach. Take a trip to Chin Chin and you'll come to fully understand why. When food looks as good as it does here, you just can't help it. 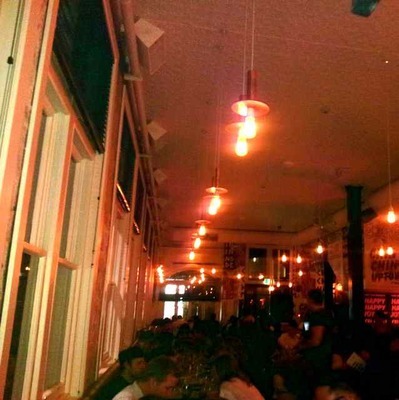 Walk into the Flinders Lane restaurant and you'll be assaulted by mood lighting, loud chatter, and random pink florescent bunnies. The decor's a little all over the place, but it keeps things interesting. The menu is full of dishes that can't help but intrigue. Wild Boar jungle curry, soft shell crab, crispy quail and the like. Take your pick from the menu or just tell the wait staff, "Feed me", and you'll get a surprise selection of Chin Chin's favourite dishes at $66 per person. Don't bother asking what they're going to serve up. They won't tell you. So settle for telling them your dietary requirements and allergies and buckle up for a culinary adventure. 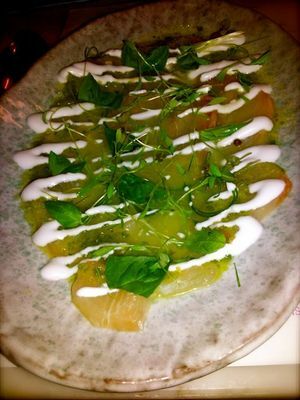 The Kingfish sashimi ($18) is served with lime, chilli, coconut and Thai basil. Don't expect the kind of sashimi that you're used to at Japanese restaurants. 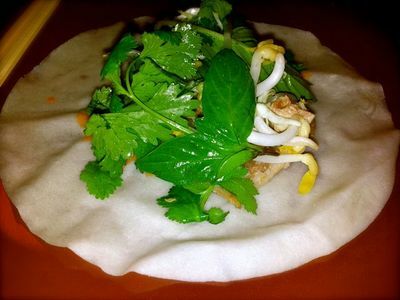 This dish is reminiscent of a Vietnamese rice paper roll with a new twist. A must. The Chin Chin pork 'roll ups' ($18) are a do-it-yourself kind of dish. Served with red braised suckling pig, slaw and asian herbs, be prepared to get your fingers a little dirty as you wrap the ingredients in a pancake before sinking your teeth into it. It tastes like Peking duck with an added dollop flavours. Next up, hold onto your seats for what the waitress described as the 'most adventurous dish' on the menu. Don't anticipate some super hot curry that's going to get you crying. 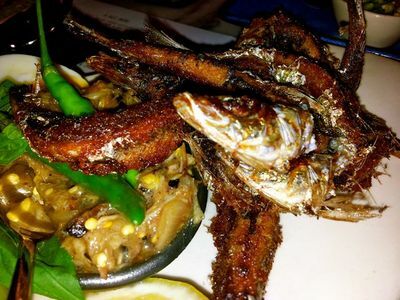 The crispy sardines ($18) with nahm prik pla yang and steamed vegetables were really something else. Whole sardines show up deep fried, with their eyes wide open staring at you. Full points for originality, but definitely not to everyone's palate. The son in law eggs with chilli jam ($8) was the only disappointing thing that night. An interesting take on eggs, but pales in comparison to the other dishes. When the chilli plate ($6) shows up at the start of dinner, don't get ready to faint. The chilli jam is mild, but steer clear of the others if you don't want to turn a bright shade of crimson during dinner. The Tom Yum soup ($15) was delightful. 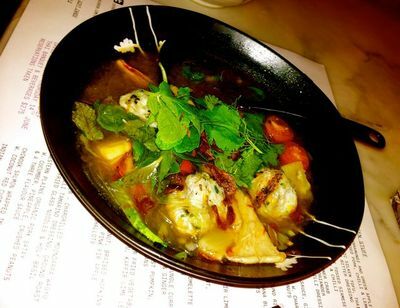 Served with peculiar white fish dumplings, lemongrass, pineapple and glass noodles, it's a light and tangy soup that's sure to heat you up from inside out. 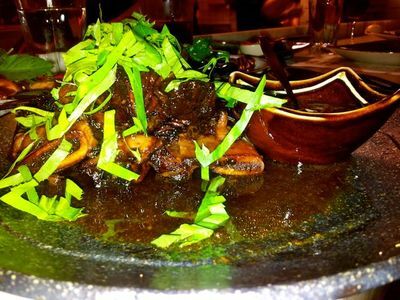 The twice-cooked Hopkins river beef short rib ($29) is the star dish. Served with coriander and prik ham pla, the meat is sweet, incredibly tender and slides off the bone effortlessly. A real treat. 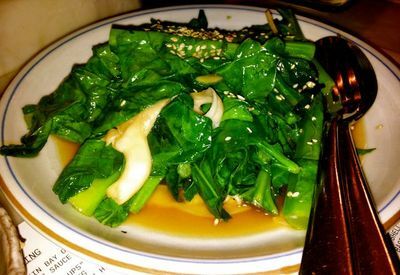 The steamed gai laan and sesame ($16) keeps the meal healthy with its greens, Asian mushrooms, oyster sauce and ginger. Not the most exciting dish on the menu, but it is healthy. You must eat your vegetables at dinner if you want your mother to be proud. 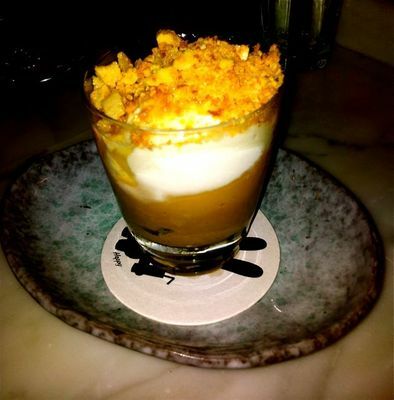 Be prepared to be blown away by the palm sugar ice cream sundae ($14) that's generously topped with salted honeycomb and lime syrup. This amalgamation of flavours will stick to your tongue for days. 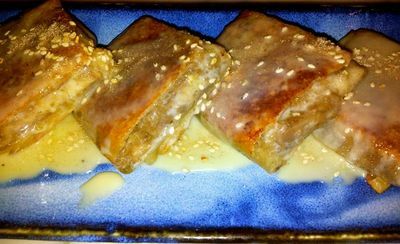 Finally, finish with the grilled banana roti bread ($12) that's served with sweetened condensed milk and cinnamon sugar. 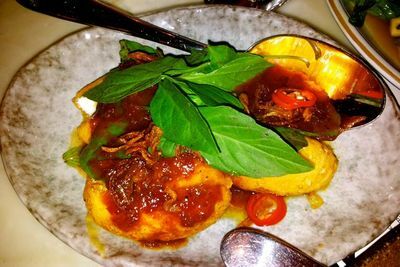 It's a new take on the tried and tested pancake and a variant of the goreng pisang that's ubiquitous in South East Asia. Simply delectable. If you decide to ask the waitress to feed you, be prepared to be unable to walk at the end of the meal. You'll be too full. Or you can be a little more sensible and order only what you need. Whatever you choose, you're in for a real treat. There's nothing wrong with eating with your eyes and not with your stomach. It's good to let go once in a while. Life's just too short. My husband and I did the 'feed me' thing 2 weeks ago and were not disappointed. We had king fish sashimi, soft shell crab curry, ribs, son in-law eggs and many other dishes that I can't remember, all really tasty and the service was the best we had received in a long time.